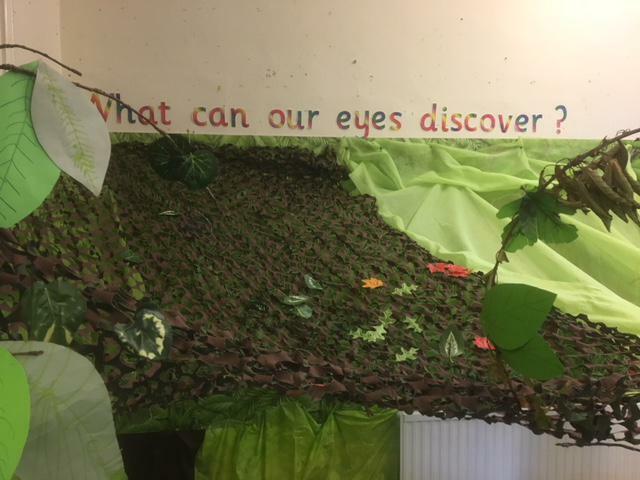 What can our eyes discover? 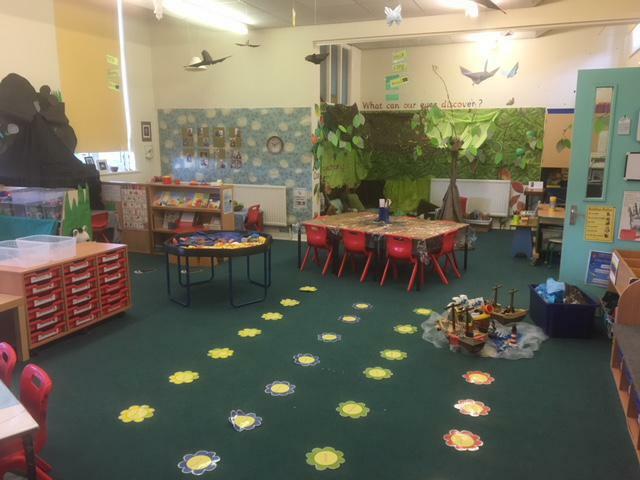 Our classroom has changed over the summer, with each key area of learning having a different theme. 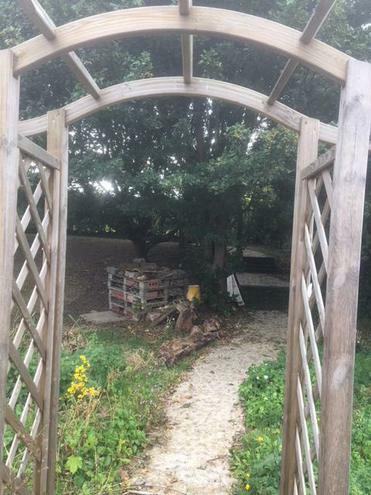 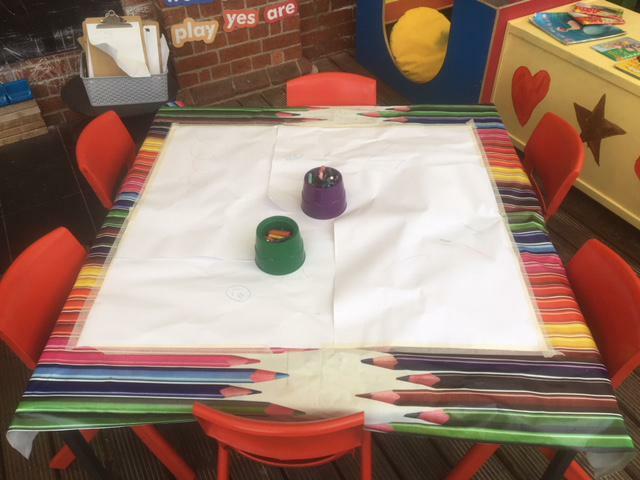 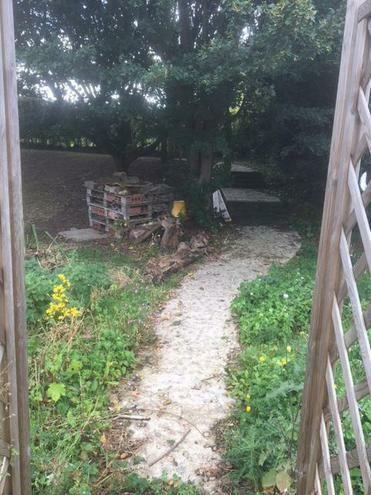 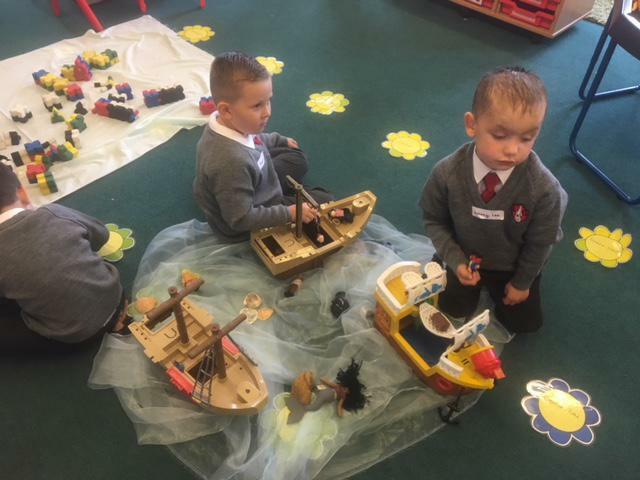 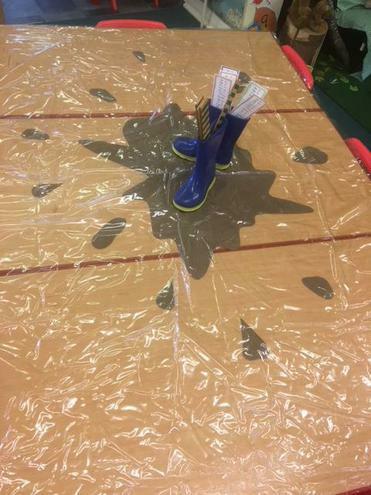 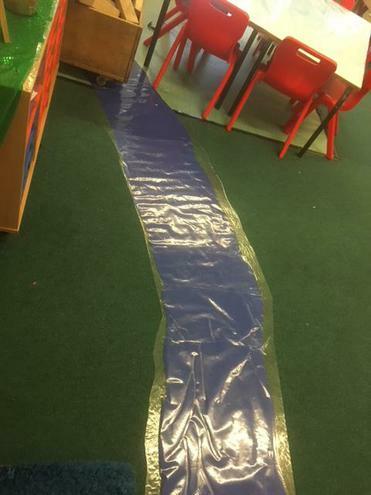 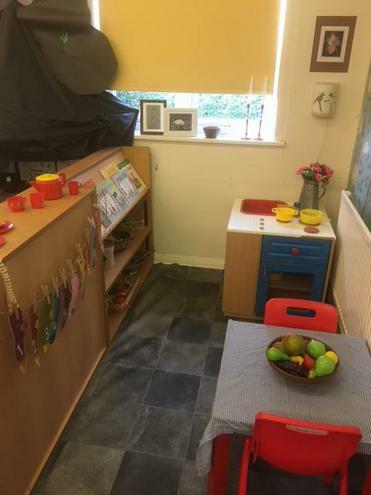 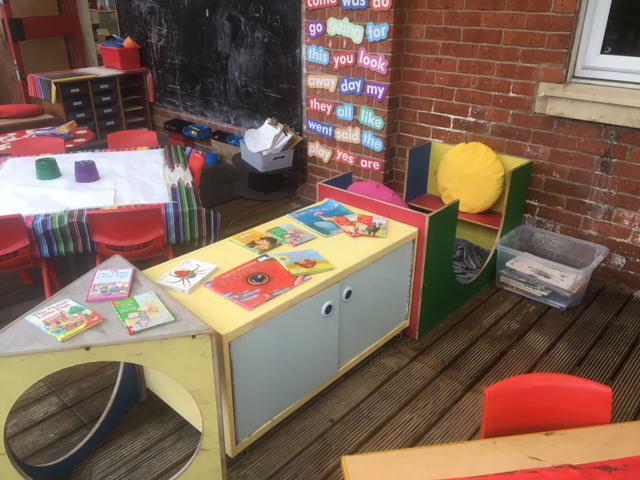 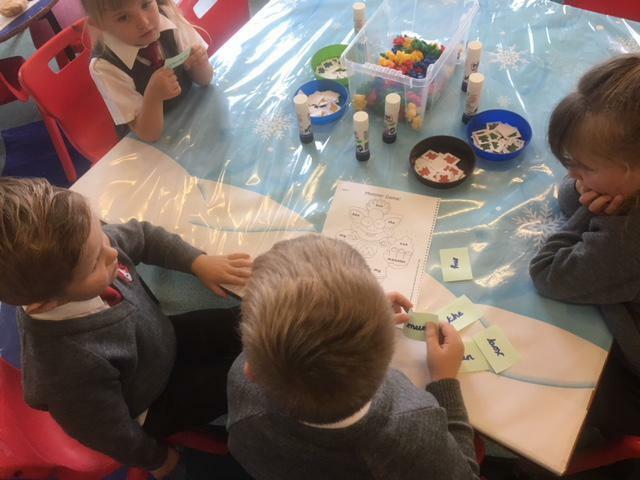 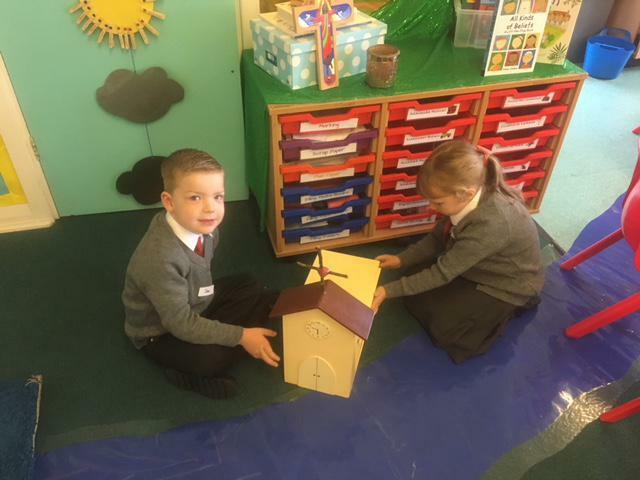 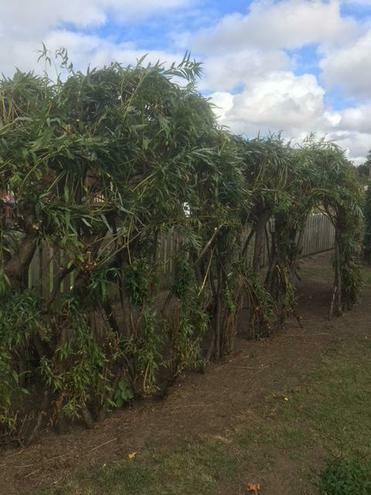 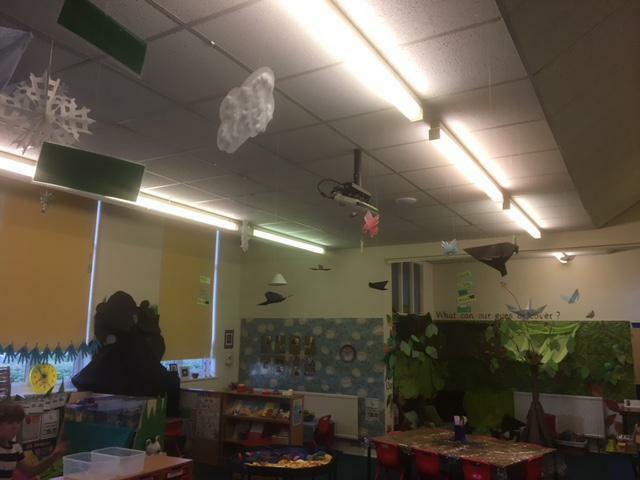 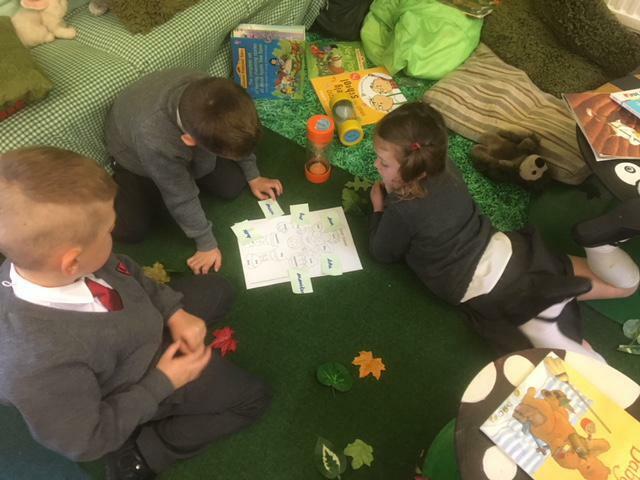 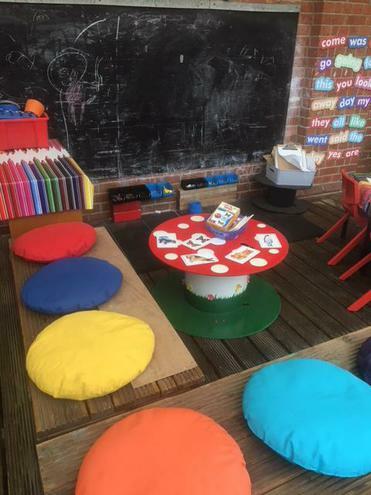 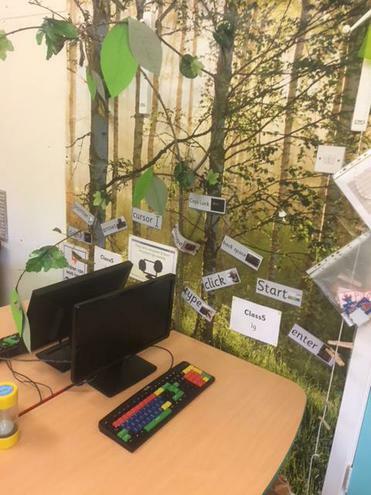 Our writing area is a cave, our reading area is a forest, our creative table is in a snow storm, our playdough table is a river, our activity table is muddy, our role play area is a house, our maths area has swishy swashy grass and our carpet is a meadow. 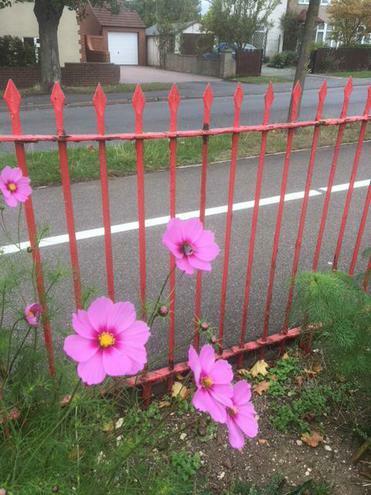 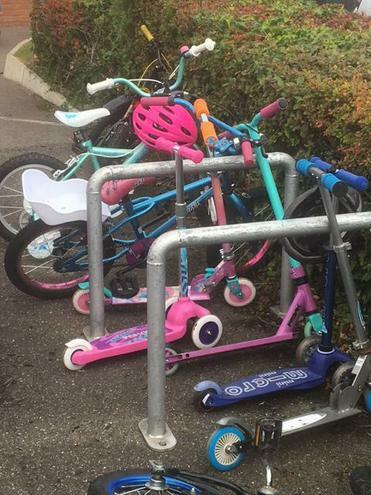 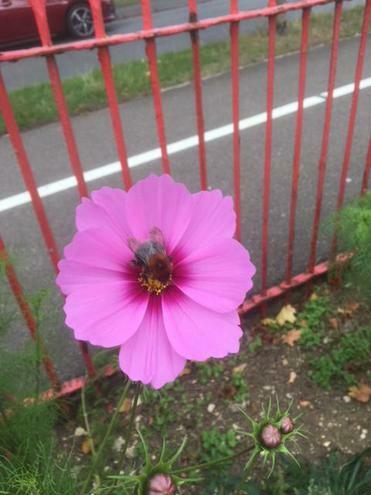 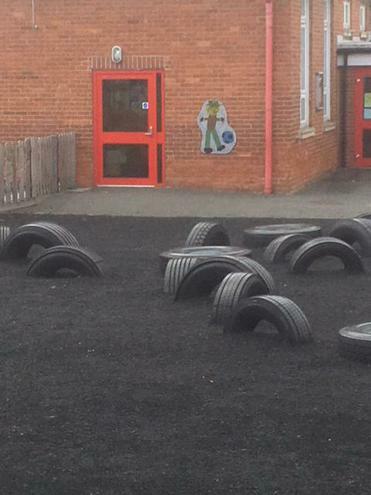 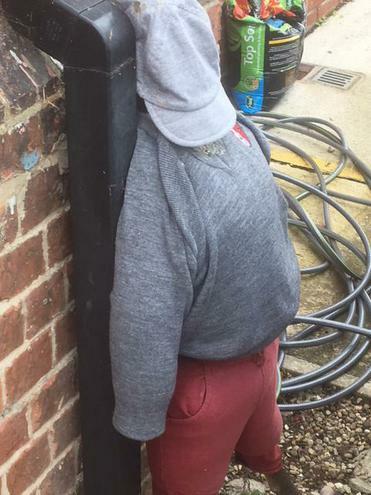 Can you work out why...? 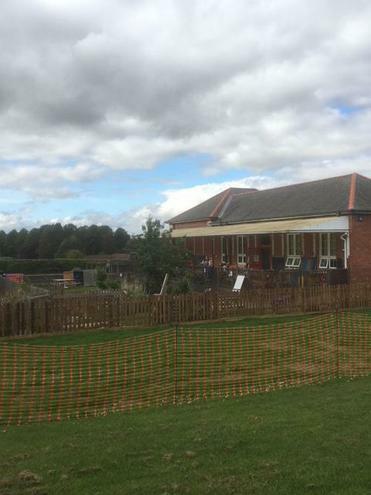 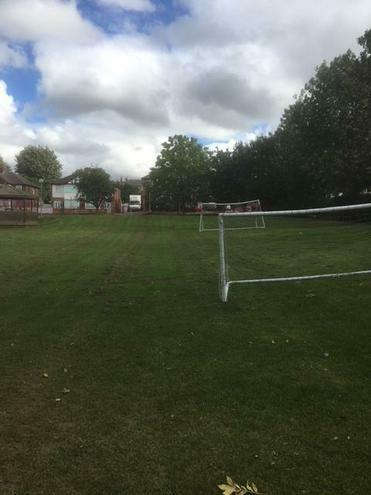 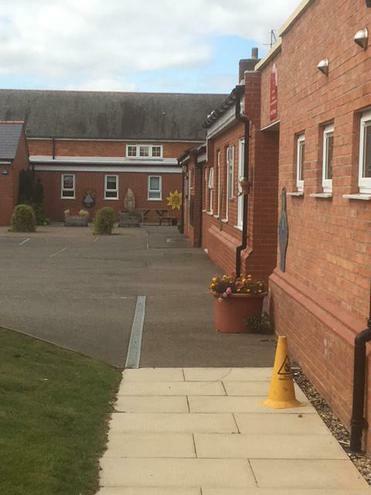 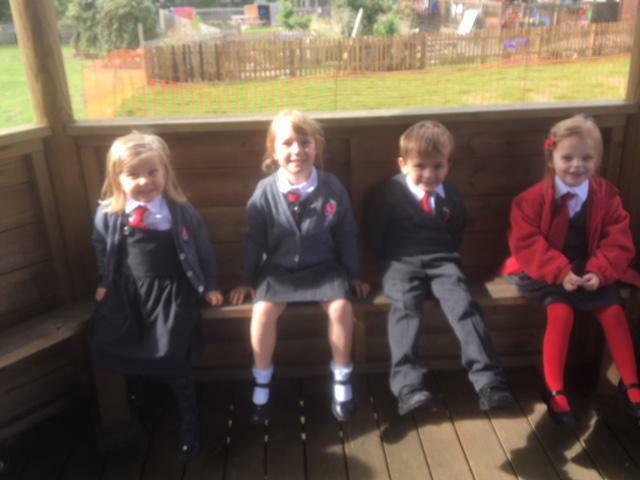 We can't wait to see you all on Tuesday 4th September! 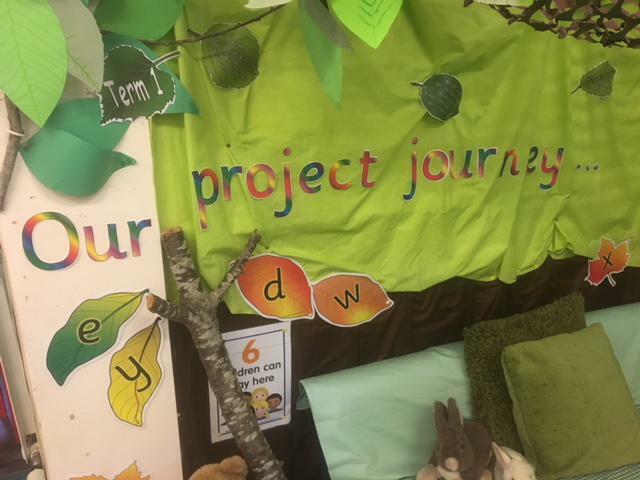 At the beginning of each new long term we send home a Project Newsletter which outlines our key question, our learning, any trips or books we will be using as part of our learning and other information for that term. 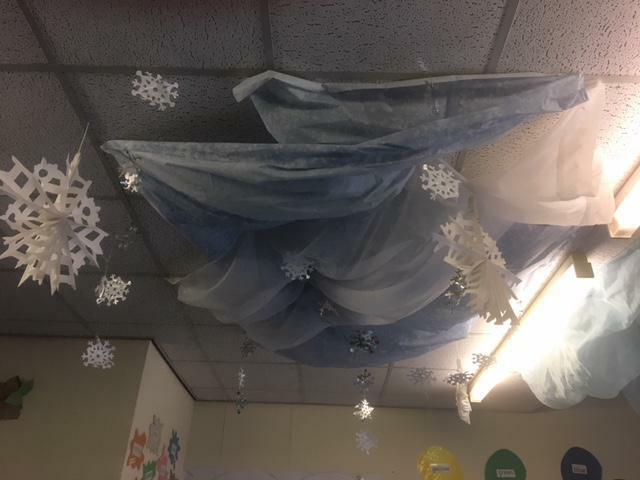 These are normally sent home via parentmail and a copy will be added onto this page of our school website. 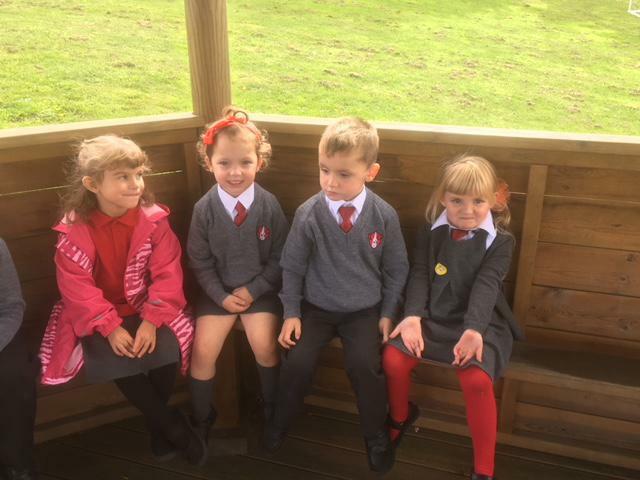 We had a wonderful first week at school and our teachers were so proud of how we settled and the lovely friendships we are starting to make. 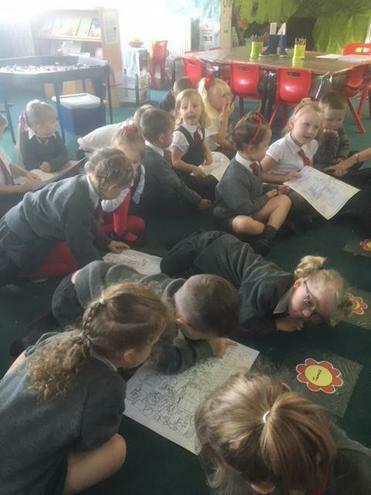 We have been reading the story 'Going on a Bear hunt' (written by Michael Rosen and illustrated by Helen Oxenbury) and learning the words and actions. 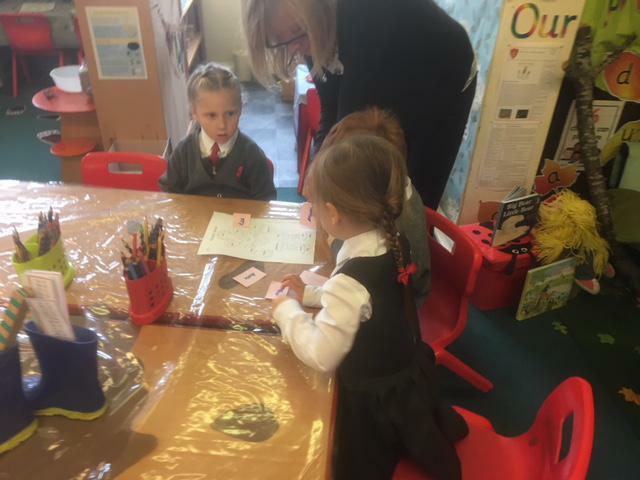 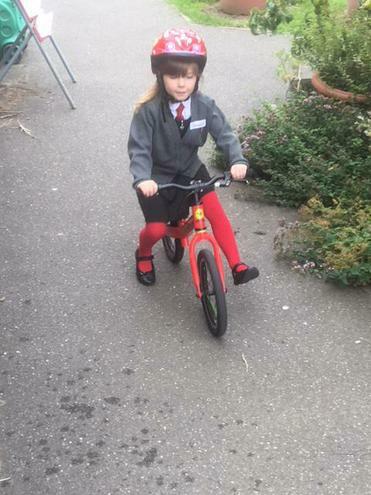 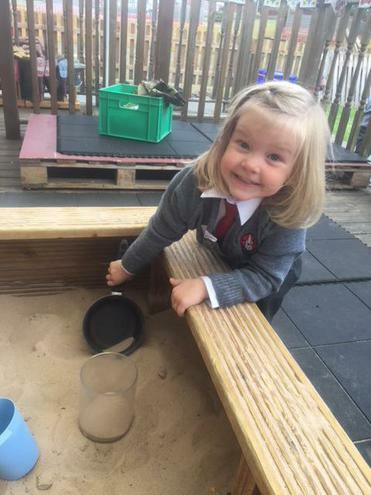 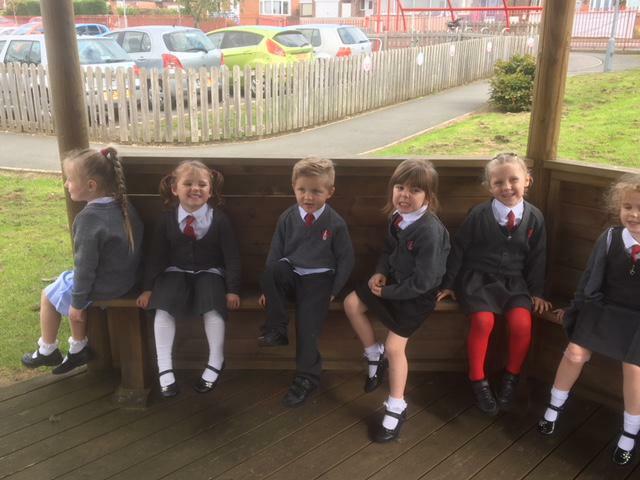 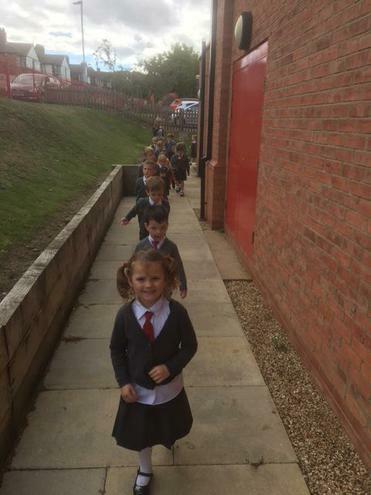 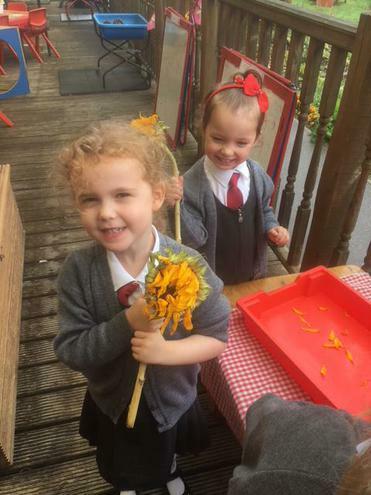 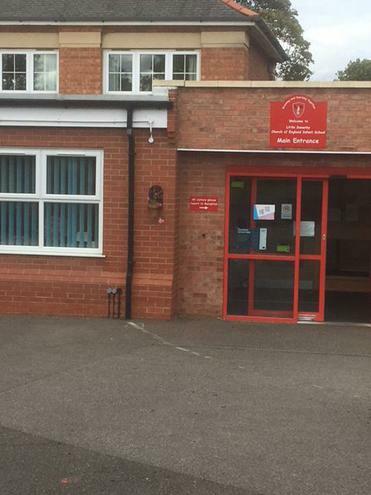 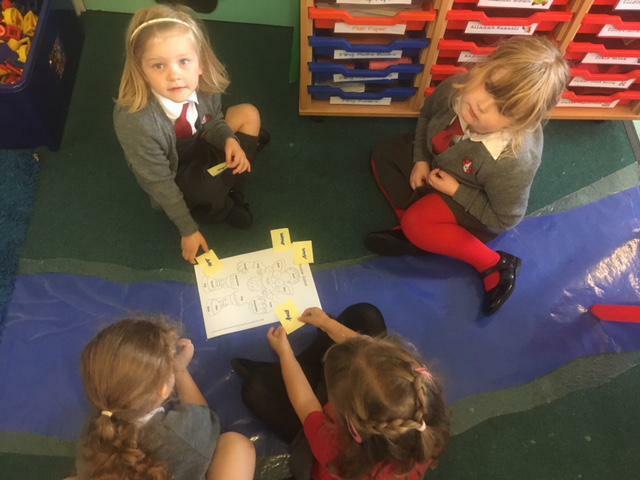 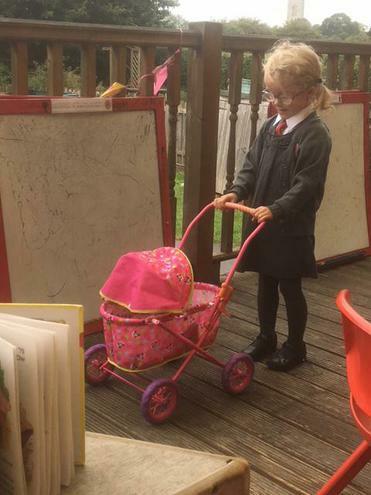 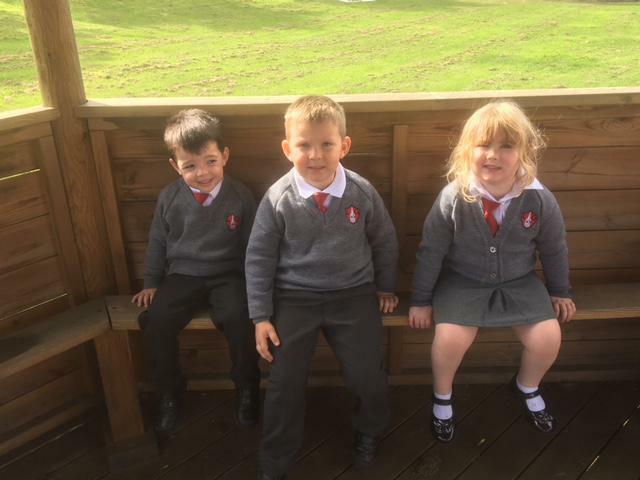 This story will set us off on lots of adventures over the next two terms as we explore our school, ourselves and our locality. 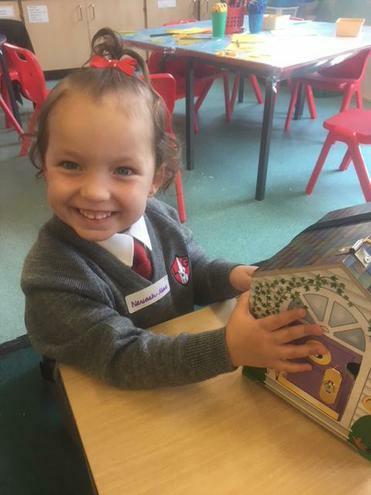 Click on the link below to enjoy this fantastic story. 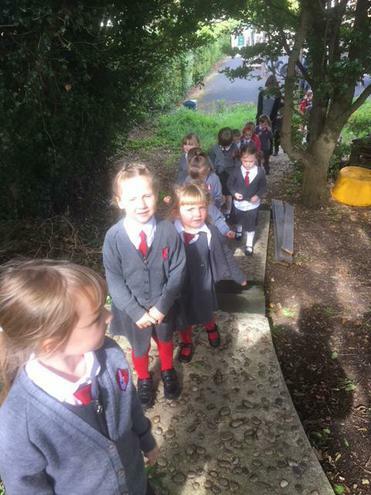 We love it in the morning. 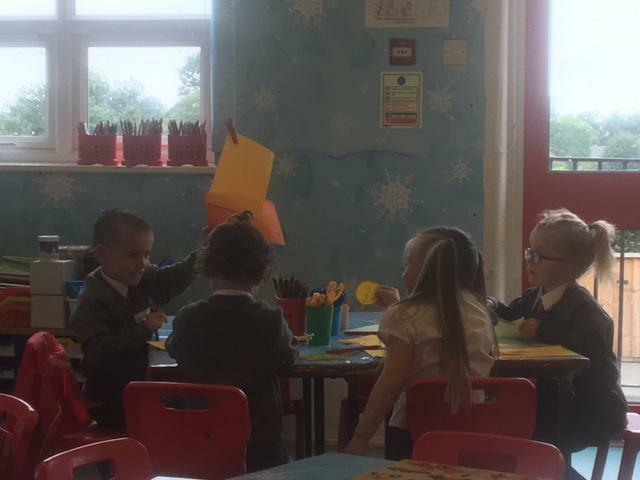 We have time to say good morning to our teachers and friends and to explore the activities in our classroom. 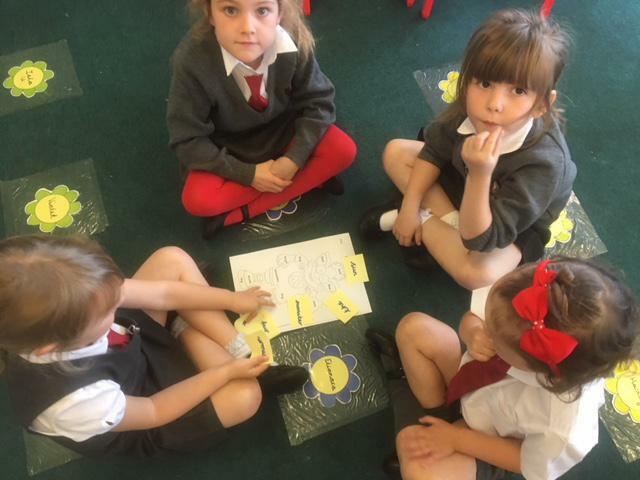 We are using Blitz every morning to help with our language skills. 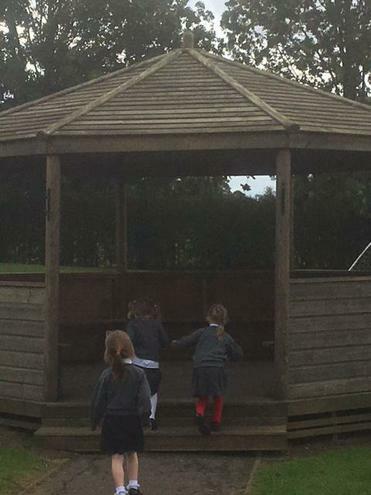 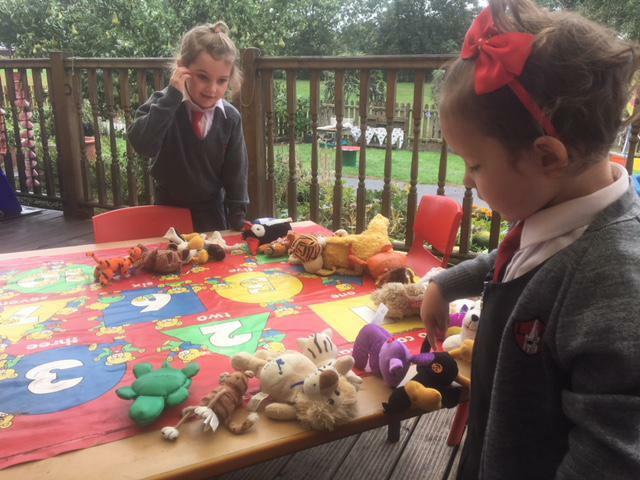 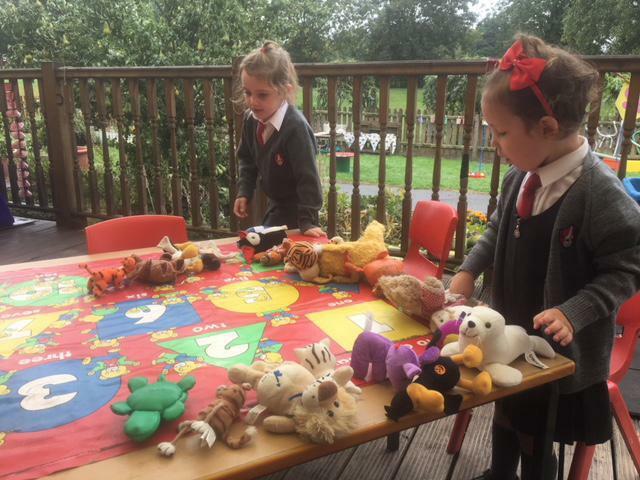 It's great fun - we read stories, sing songs, learn actions, play games, practise our letters and work with our friends. 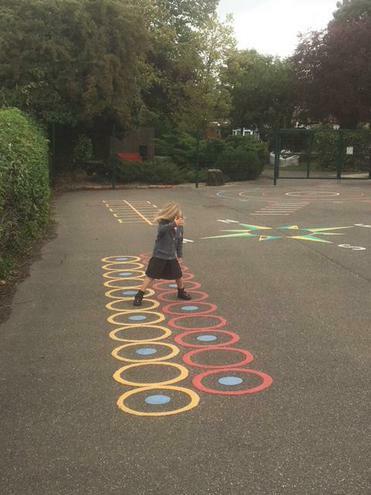 Every day there are different activities for us to choose from, these are just a few. 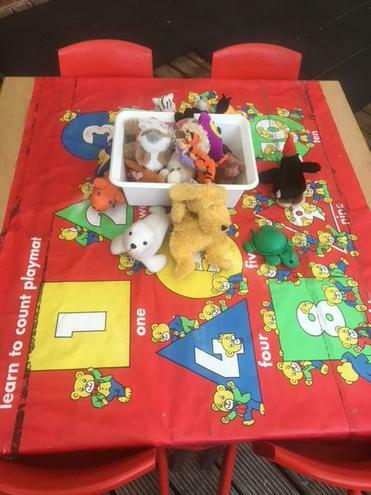 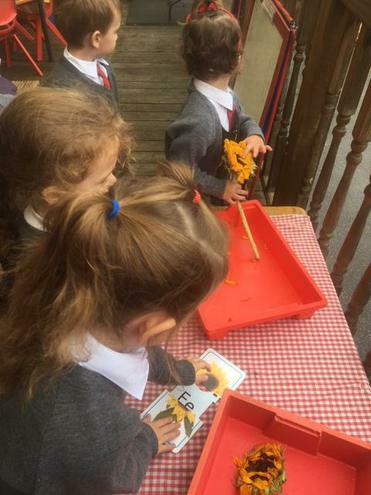 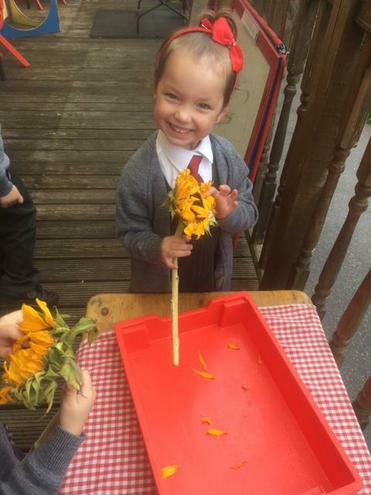 (They help with our fine motor control skills, pencil control, ordering, colours, numbers, sounds, writing and more). 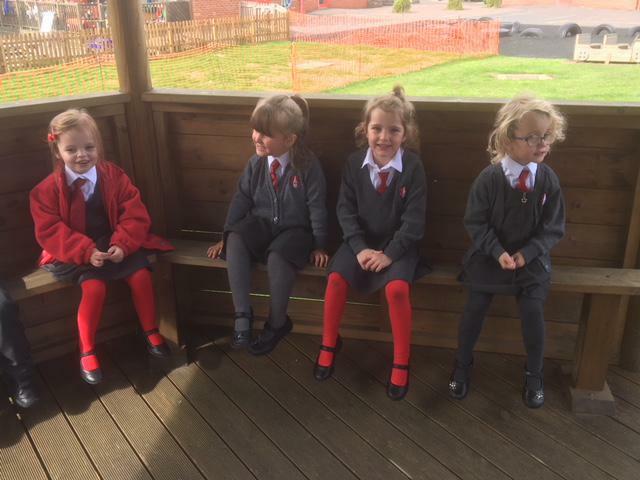 Every day we have time on the deck and in our Reception garden (if the weather lets us!). 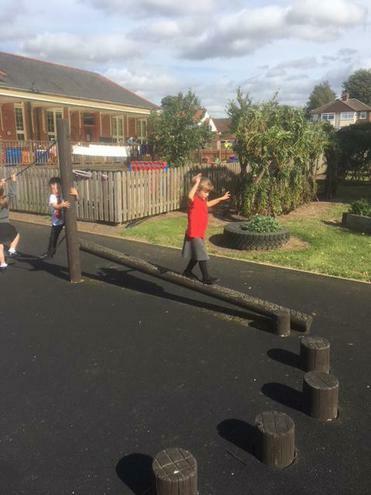 The activities out here change every week and link to our learning. 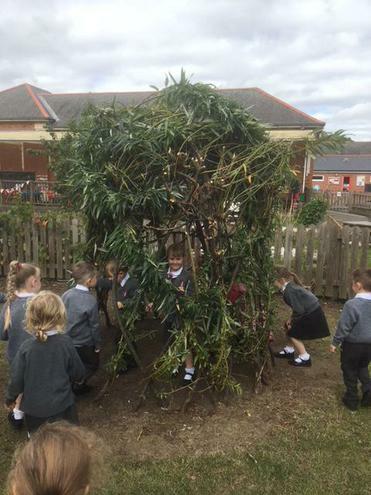 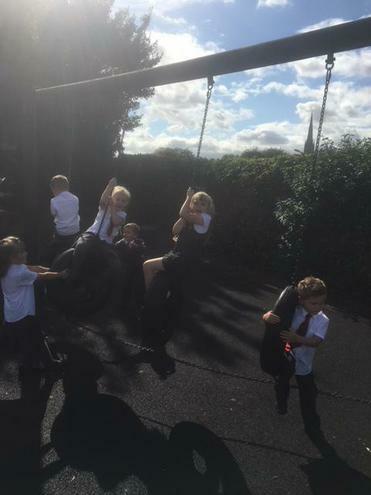 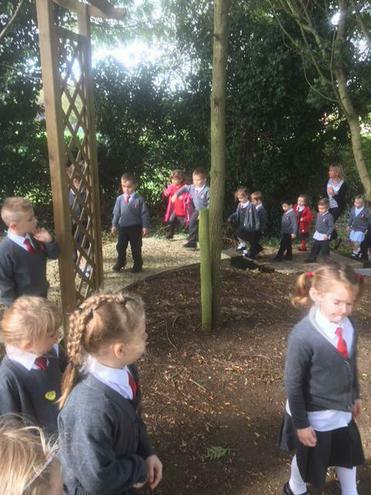 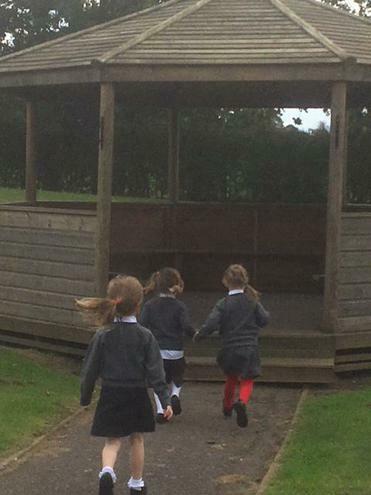 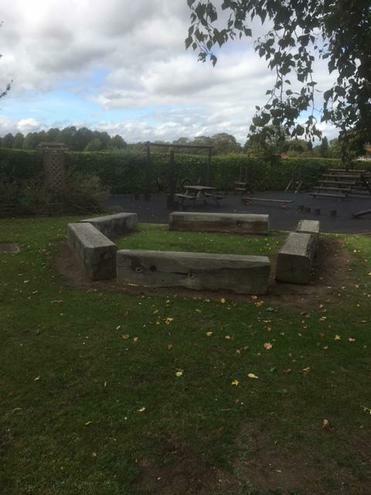 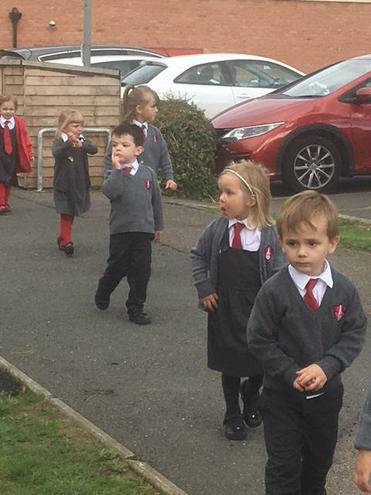 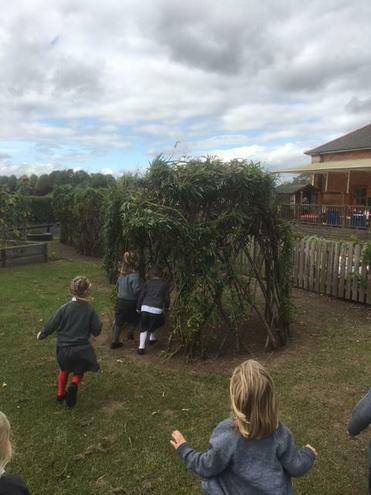 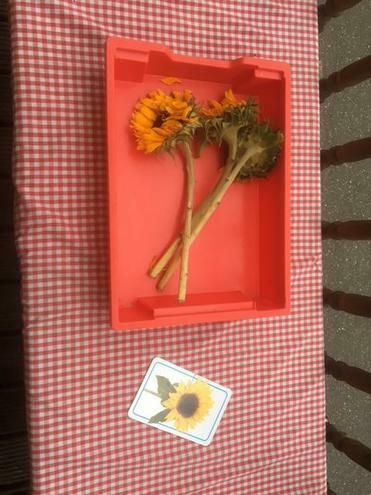 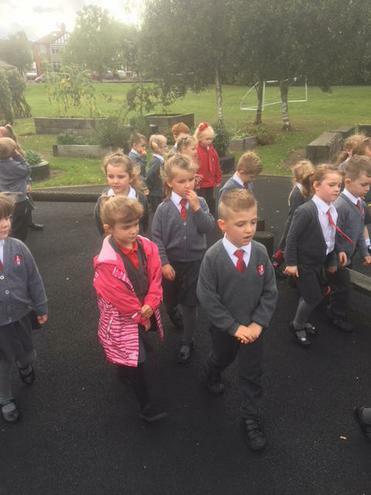 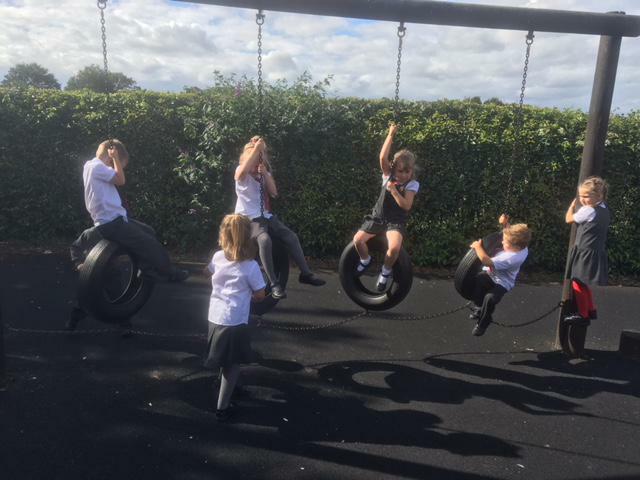 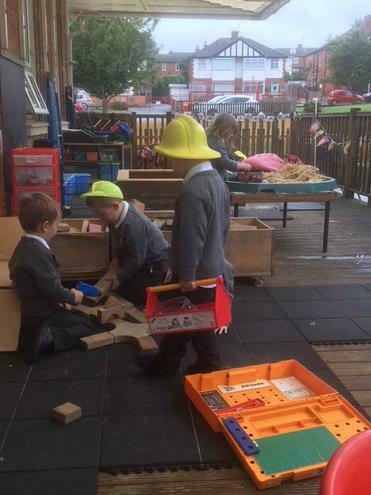 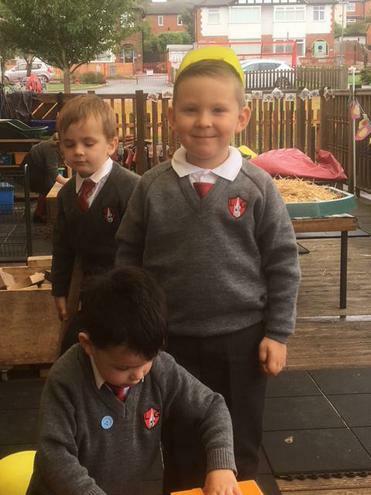 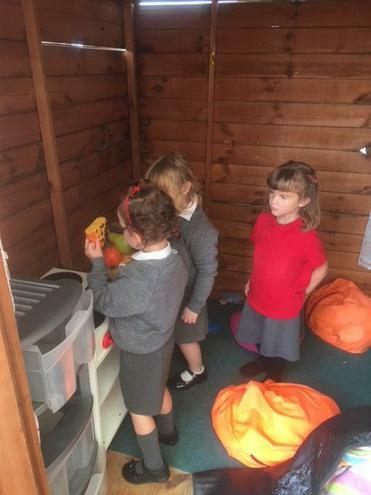 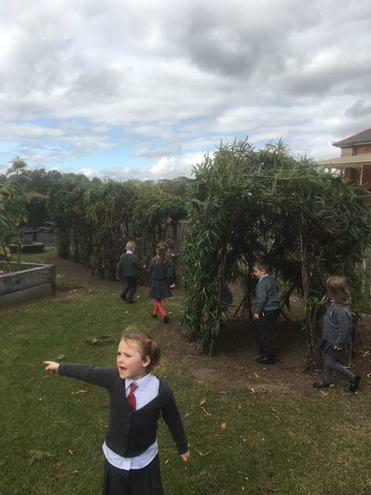 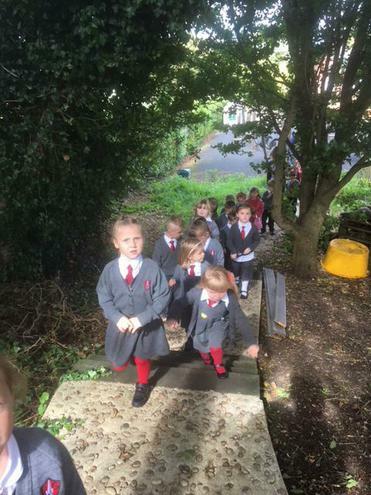 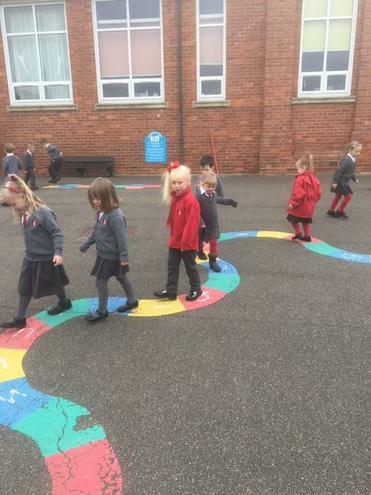 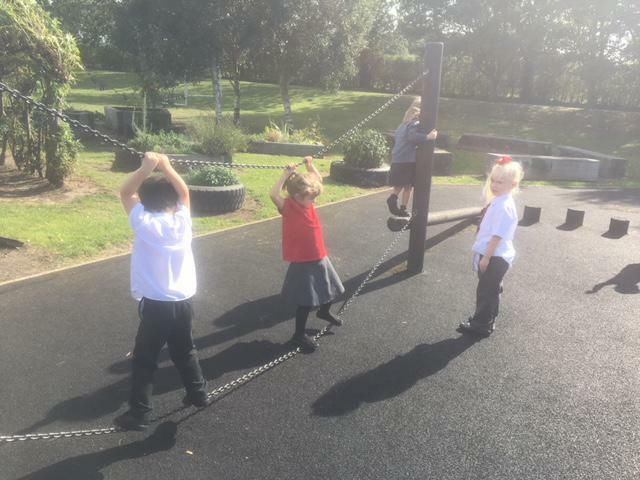 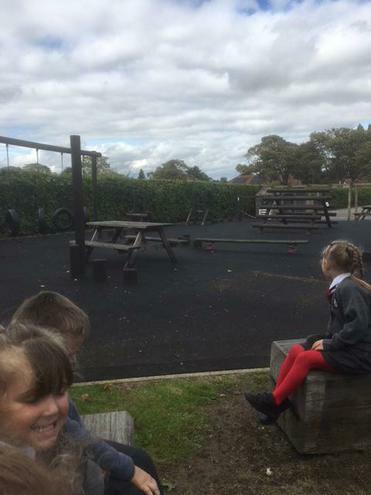 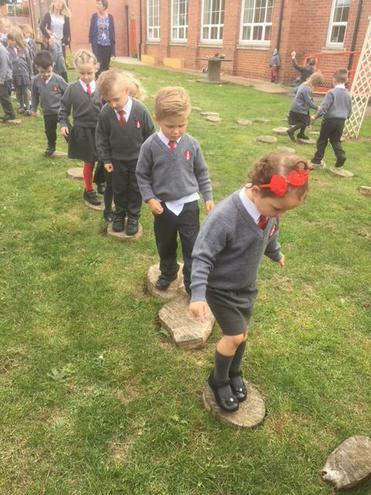 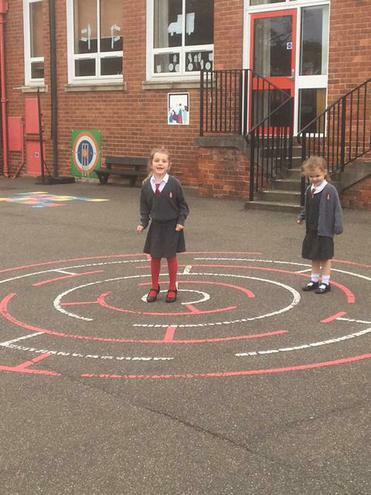 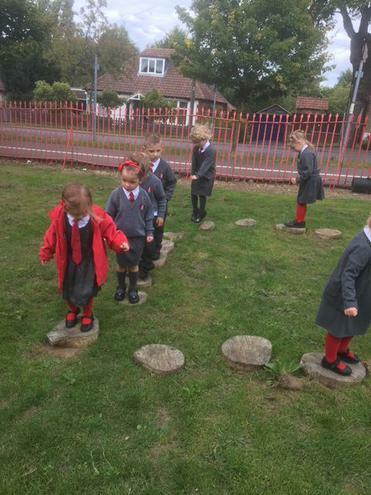 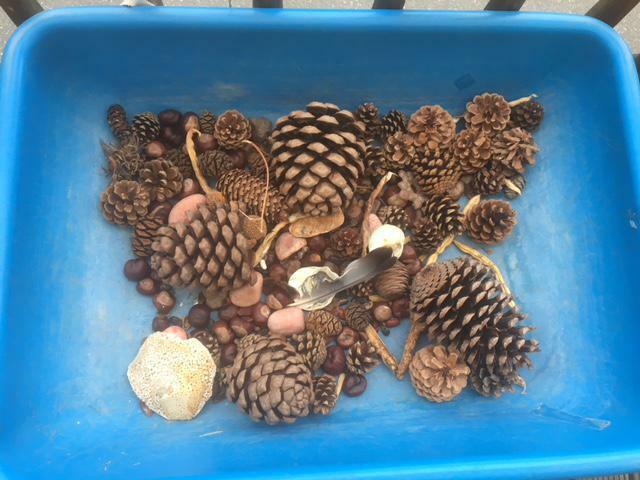 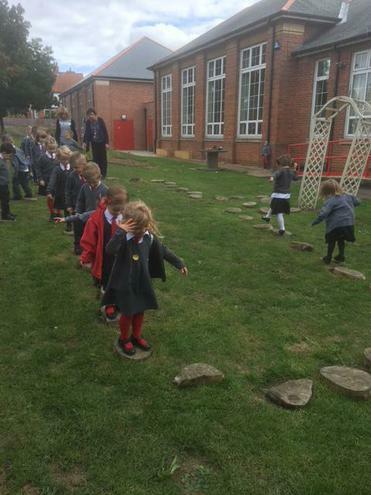 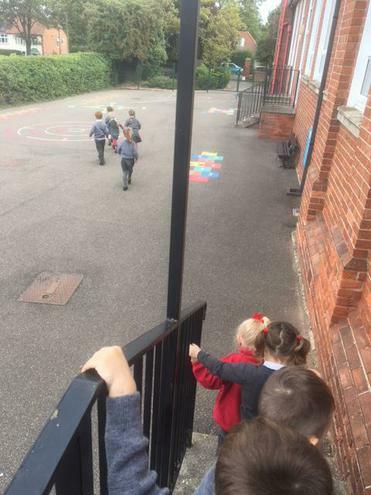 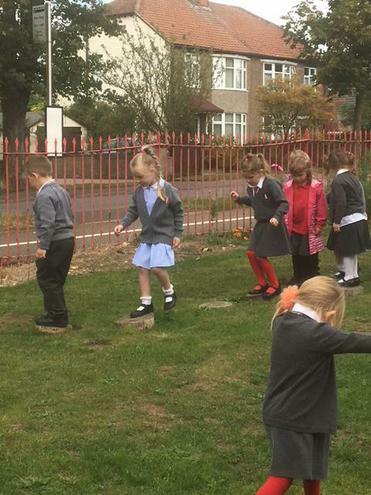 On our 'Bear Hunt' we explored the back playground and looked at all the different ways we could use it safely in our play, and then we explore the trim trail and practised using it safely. 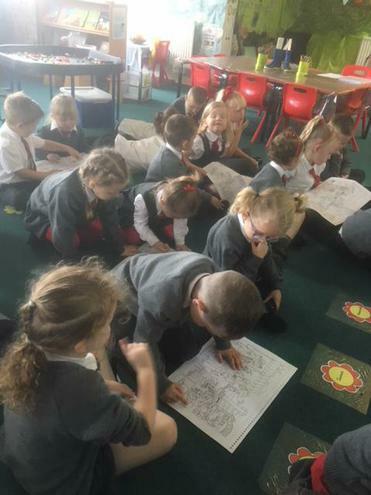 We love reading book at Little Gonerby! 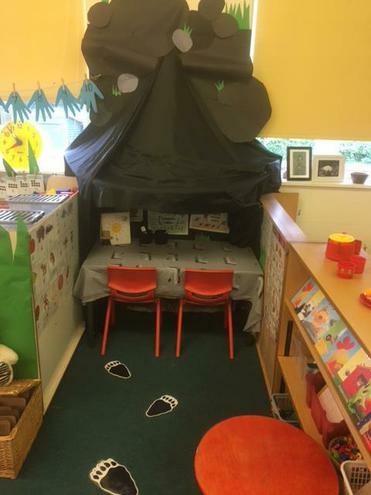 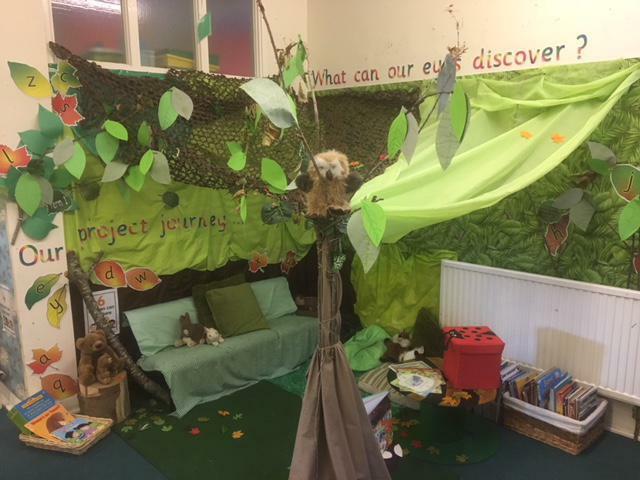 Every classroom has a reading area, and this term ours is the deep dark wood from the bear hunt story. 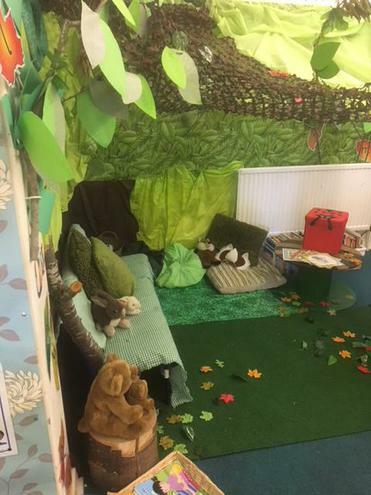 It has comfy places to sit and lots of lovely books to read. 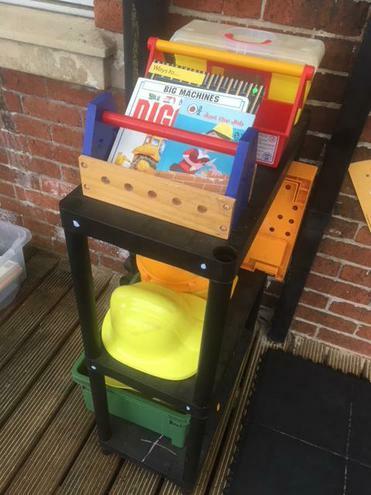 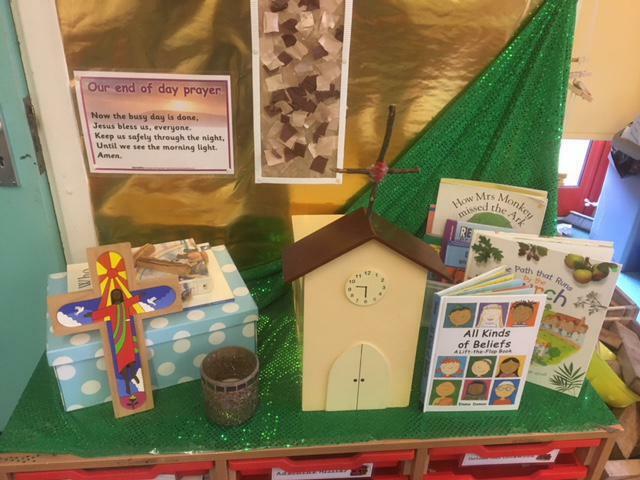 Each week a different selection of books linked to our learning are put out for us to explore, enjoy and share. 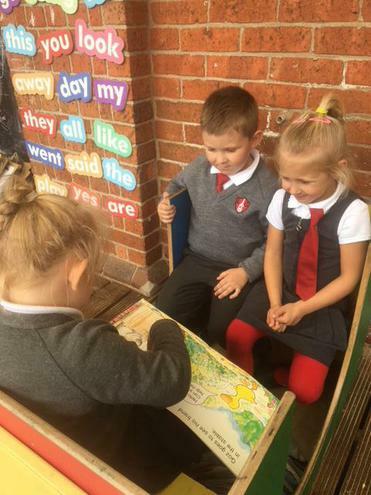 We think that reading is fun!